Sold as each. Fits waist size 29"-49". 2" polyweb belt with roller buckle. Leather holder fits up to 30' tapes. Double gussets keep front pockets wide open for easy access. Heavy duty suede leather. Manufacturer's number: 527X. Country of origin: China. Distributed by Clc/Custom Leather Craft. I was initially hesitant to purchase due to the plastic buckle. After using this on a room demo and remodel I feel the buckle is going to last a while. The leather seems very good quality in both thickness yet pliability for the price point. In my opinion the price is very cheap for the quality and features of this product. I saw reviews on this and many other belts saying the middle tape pocket wasn't big enough, I however had no issue with a stanley fatmax 25' tape fitting in there and still easy to get out. The pockets all were constructed in a way to keep them opened up like you want them to be able to easily get to the contents (screws, tools). 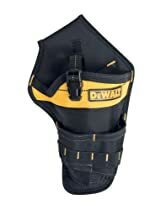 I am a DIY'er and found this to have nearly everything I needed, I am sure for the professional they would go another route, but if looking for a low price, good quality belt for the DIY'er I highly recommend this one. I work in HVAC and wear these everyday at work. I run them through the ringer and have been using them for almost a year. I bought these bags to replace the CLC bags I use to get from Home Depot 8 or so years ago. These are very close to the same bags. Those were GREAT bags. These bags are good, not great. The inner seams on the pouches wears out, creating holes. Holes equals tools falling through. Also, my Malco sheet metal hammer sometimes falls out of the hammer ring. I probably won't get these again. How this helps. 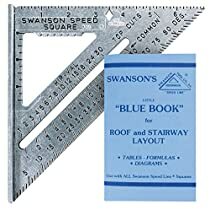 Got this while working on a major home renovation project, after seeing my brother-in-law's, and noticing how convenient it is to have all your tools right at hand, rather than trying to remember where you left 'em. (I'm not very good at that a *all*!) This one is very sturdy, with big rivets at every joint, and spacious, well-organized pockets. If could make one improvement, it would be to NOT rivet the pouches into he belt. There are times I' would've loved to remove one to make room for the holster for my impact driver or hammer drill/driver.